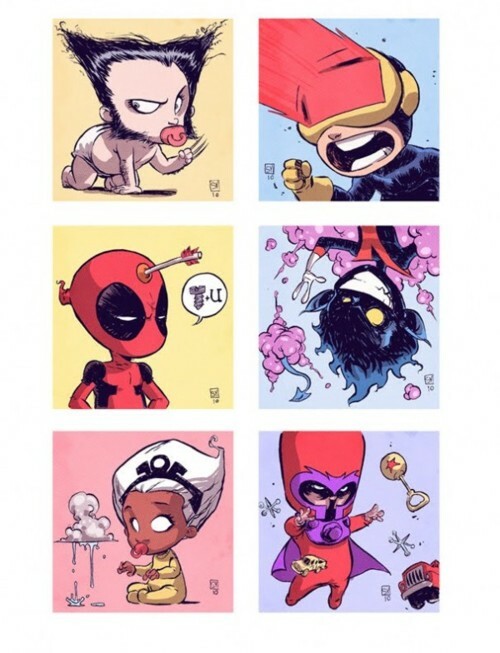 Baby X-men. LOL here we have a few baby x-men. i just noticed Deadpool still had a mouth on him as a kid too >_<. Wallpaper and background images in the Nightcrawler club tagged: nightcrawler x-men cool storm magneto logan deadpool cute baby. This Nightcrawler fan art contains anime, comic, manga, cartoon, comic buch, karikatur, and comics.